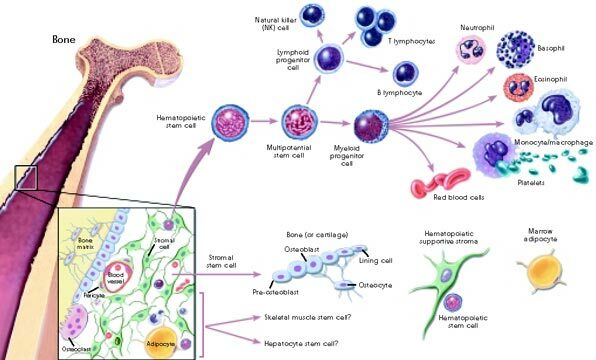 What is known about adult stem cell differentiation? In humans, the key functions of adult stem cells are to maintain and repair the specific tissues where they reside. 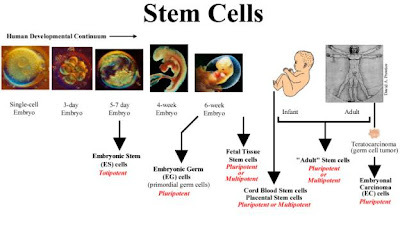 The precise origin of adult stem cells in mature tissues is also still unknown, contrasting with embryonic stem cells, which are defined by their origin. What Makes Adult Stem Cells So Advantageous? 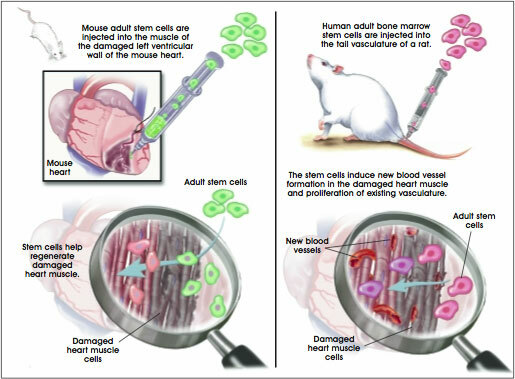 One of the reasons research has been so intriguing with adult stem cells is because researchers have discovered adult stem cells in more tissues than they originally anticipated. The use of embryonic stem cells has generated a lot of controversy so the possibility of using adult stem cells for transplants is an exciting one. Adult stem cells have actually been used for decades for bone marrow transplants but more uses are needed to treat other debilitating and life threatening diseases. It appears that some types of adult stem cells can differentiate into different cell types but this is very much dependent on the conditions being appropriate. Scientists hope that by gaining control over this process of differentiation within a laboratory setting, adult stem cells can become the root of therapies used to treat some of the most common but serious diseases. Where Are Adult Stem Cells Originate? Adult stem cells are generally isolated from an adult tissue sample; thus far, they have mostly been examined in humans and a few other animal models. Scientists are questioning whether adult stem cells are still originally derived from embryonic stem cells or if another source is involved. Adult stem cells have the potential to replenish a person's trillions of specialized cells from just a few unspecialized cells. The idea of adult stem cell therapy is to control and guide the growth of adult stem cells within a laboratory and then use these to replace dysfunctional cells that are present in disease. Some of the possible treatments involve the replacement of cells in the brains of people who have Parkinson's disease. Scientists hope to replace the dopamine producing cells and reduce progression of the disease. Another goal is to develop insulin-producing cells for diabetes. With heart attacks causing enormous morbidity and mortality each year, it is also hoped that adult stem cells can repair damage to the heart. 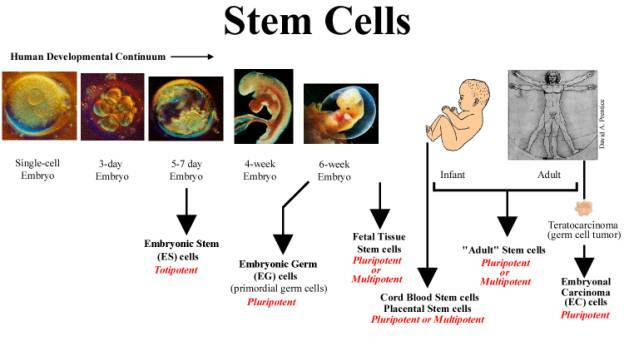 The use of adult stem cells is more widely accepted, particularly by the public, because it does not require destruction of an embryo as with embryonic stem cells. Adult stem cells also don't have the same immunological challenges as embryonic stem cells because they are harvested from the patient. This means that a person's body is less likely to reject the stem cells because they are compatible with that person's unique physiological makeup. Unfortunately, adult stem cells are present in miniscule quantities and this can present difficulty for identifying and isolating them in numbers great enough to use therapeutically. Their self-renewal is also not as successful as embryonic stem cells and as such, they do not proliferate to the same degree. Because adult stem cells aren't as 'young' as embryonic stem cells, they contain more DNA abnormalities acquired with age. These can be caused by the environment, toxins or errors in DNA replication. Overall, adult stem cells don't pose the same ethical concerns and controversy in comparison with embryonic stem cells, but their practical challenges are numerous. As scientists continue to seek ways to effectively harvest adult stem cells, the public can await new treatments for some of the more serious and common diseases.